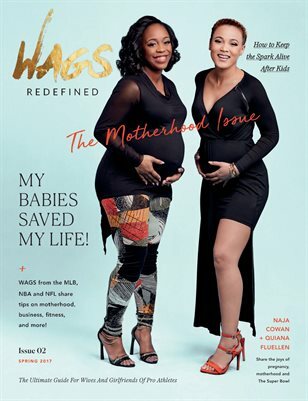 WAGS Redefined Magazine is the first magazine dedicated to showcasing the experiences and talents of the wives and girlfriends of professional athletes, also known as WAGS. Ninety-three percent of our contributors are WAGS and our stories feature WAGS of active and retired pro athletes and coaches. Our readers experience the world of professional sports from a different perspective.